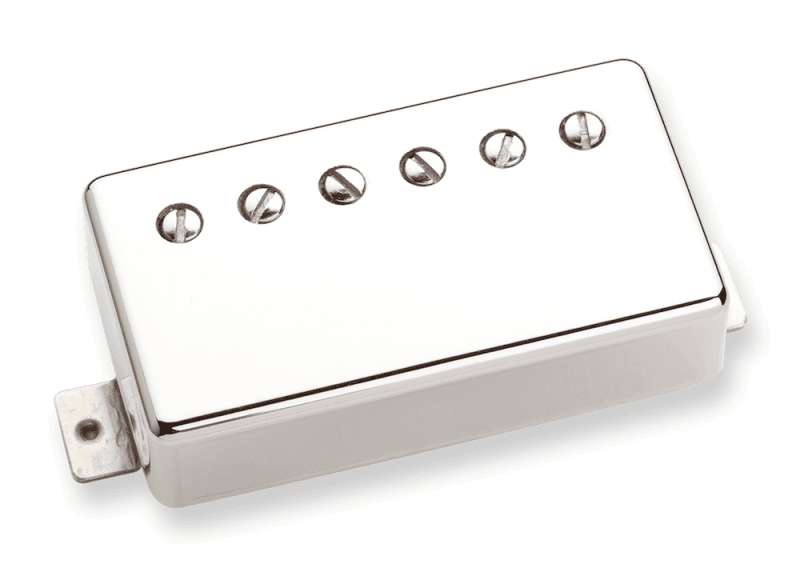 The 59 bridge model is great for all types of rock and blues. 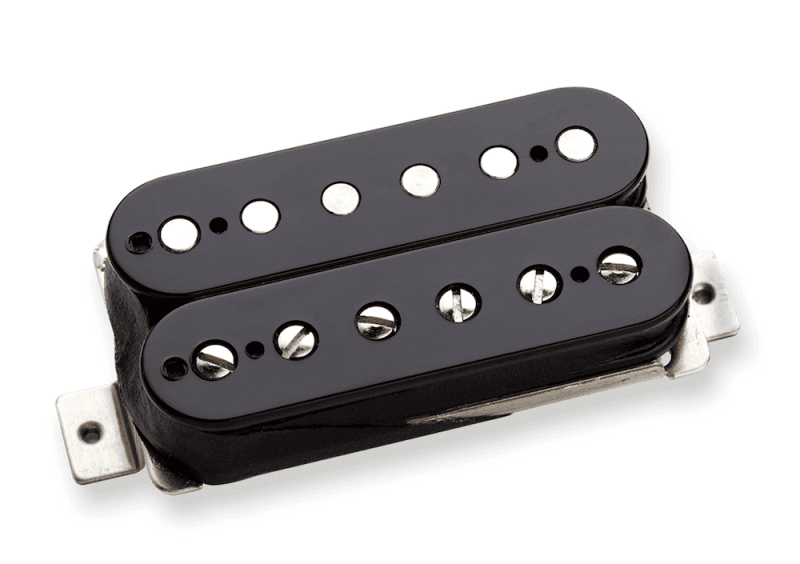 We designed these vintage style coils to give it an airy quality that keep this pickup planted firmly in the P.A.F. family. The alnico 5 bar magnet, and vacuum wax potting have been added to compensate for lighter guitar strings and louder amplifiers than were ever used in the 50s. 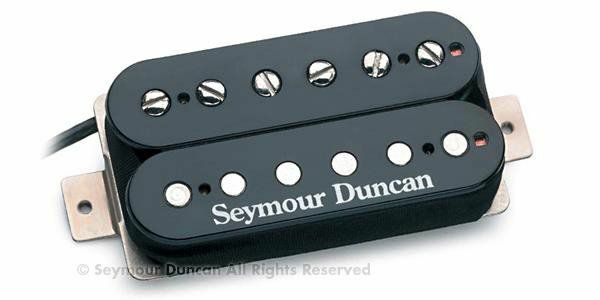 The result is a pickup with tons of old-school tonal character, but with a brighter top end, and a more compressed sound. Pair with the 59 neck model for an evenly balanced output and tone.In addition to the alnico 5 magnet and wax potting, we hand build the 59 Model with a variety of traditional vintage treatments, such as 42AWG plain enamel mag wire, long legged nickel silver bottom plate, vintage single conductor braided push back lead wire, and no logo. As with all of our P.A.F. 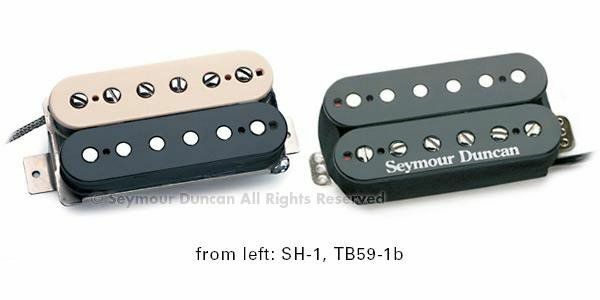 style pickups, the 59 Model is wound on Seymours old Leesona winder from the early Gibson factory in Kalamazoo, MI. Nickel or gold-plated cover. Trembucker. 7-string version. 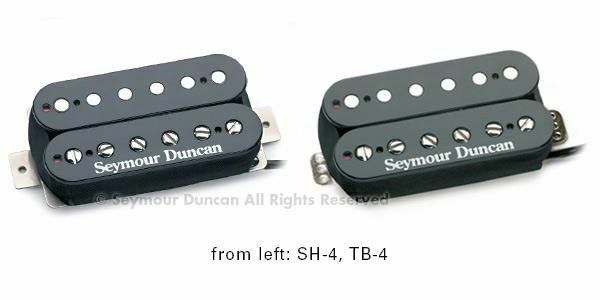 Available in matched set of SH-4 JB Model bridge and SH-2n Jazz Model neck. Colors (humbucker spacing). Nickel or gold-plated cover. 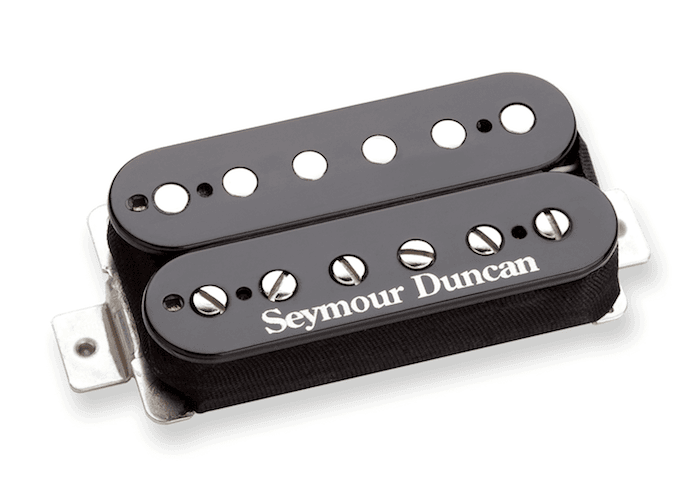 Trembucker. 7-string version. Colors (humbucker spacing). Nickel or gold-plated cover. 7-string neck version. Available in a matched set with an SH-4 JB for the bridge. Colors (humbucker spacing). Nickel or gold-plated cover. Trembucker. Colors (humbucker spacing).